Which of the following triangles are right triangles? 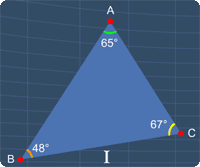 For triangle I, there is no internal angle that is 90°. Hence, this is not a right triangle. 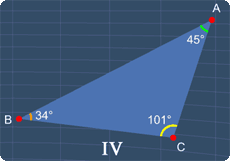 As for triangle II, the angle at vertex A is 90°. Hence, this is a right triangle. 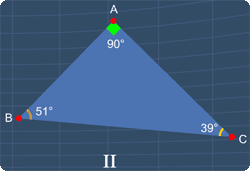 Now, as for triangle III, the 'square' below represents the angle 90°. Hence, this triangle is a right triangle. 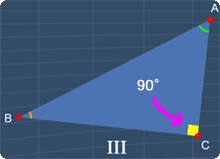 For triangle IV, there is no angle that is 90°. Hence, this is not a right triangle. 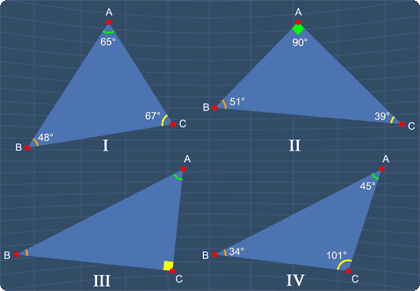 Clearly, only triangle II and III are right triangles. Therefore, the answer is B.